Outdoor gear has come a long way since the War Surplus days of the early 1950s. Today, rather than outfitting with unused combat gear, our tents, cookware, and survival accouterments have become decidedly high-tech. The first, and decidedly low-tech item is the Kodiak Canvas Swag Tent. The beauty of the design is that it is a classic bedroll with a tent attached. 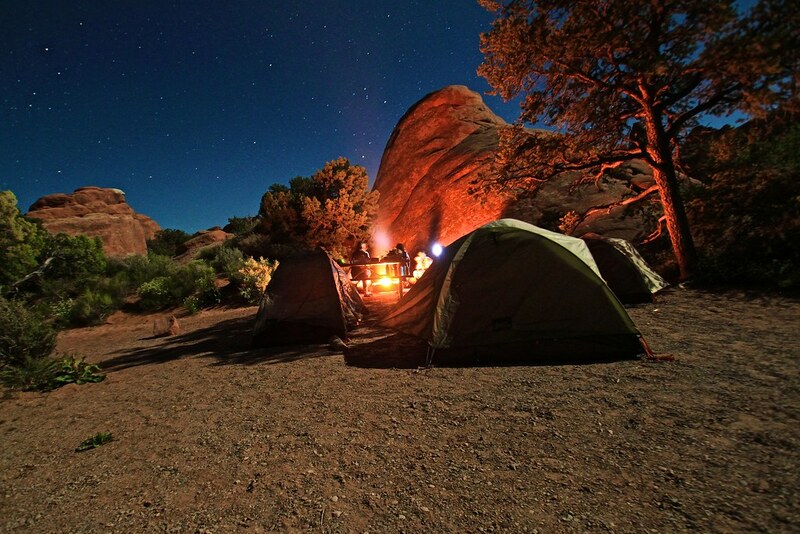 The idea is that you can set up on the trail, in the back of your truck, or on a cot. And the material is classic as well: canvas duck cloth, guaranteed not to wick water. Of course, the cotton is silicone infused, making it a bit of a departure from the standard duck cloth. The one person tent is 6 feet 8 inches long and has a built in two-inch foam mattress. it even comes with windows and a roll out door mat. At 17.5 pounds, it’s not exactly a back country item, but it’s roomy and durable. A major selling point is how quickly the Swag Tent rolls out and packs up. You can pick one up for just under $300. Another fine bit of gear is the Velocity Grill. Combining the efficiency and flavor of wood-fired cooking with electricity, this product uses a blower fan to direct and respirate the fire. It’s capable of reaching temperatures above 1,000 degrees F in minutes. And with a 13-inch grill top, you’ll be the culinary star in any outdoor situation. The entire grill weighs 17 pounds, so don;t imagine packing it, but it will certainly enhance any basecamp evening. Pick one up for just $130. What’s also cool is that the grill found its way to reality through a Kickstarter campaign. Just one more product born of outdoor imagination. Here’s one that makes us think, “How did we not come up with that?” The Rescue Me Balloon is a personal rescue beacon, no larger than water bottle, that lets any stranded adventurer pinpoint their location. When deployed, the ballon ascends to 150 feet with a bright LED beacon. Another Kickstarter original, the Rescue Me Balloon actually did not make its fundraising goal, but backers made it happen anyway. At only $75, this is a solid survival item. And as an added feature, a green version of the balloon can be deployed as a non-emergency beacon, to mark base camp while adventuring. And the flashing LED signal will last for a week. That’s plenty of time to get rescued, we think. Worried about water quality? How about the Pure2Go. This compact travel purifier does more than block bacteria. It also removes waterborne viruses. And while it is advertised to work in seconds, its creators also designed it to double as a pump for both water and air. But at just $95, the Pure2Go is a good value. And this one was also raised $28,000 on Kickstarter. This last one does;t exactly seem like essential gear, so we’ll file it under luxury, except it does have one solid application in that it can charge other devices. 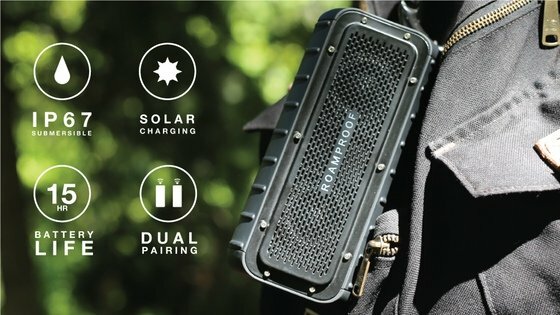 The Macro Boom is a solar powered bluetooth sound system that can daisy chain, meaning it can link through wireless connection, to other Macro Booms to provide surround sound in an outdoor setting. It also comes with a USB port and cable, which allows for the aforementioned recharging. So, you know, while you’re streaming Willie Nelson for your fellow backpackers, you can also juice up later on. You’ll only pay around $125 for this one, making it competitive with other such systems. We hope this list helps in your endeavors become the earliest of early adopters among your outdoor-crazy friends.